Wei-Ning Yang's practice covers a broad range of intellectual property (IP) matters including patent litigation in federal district courts and before the U.S. International Trade Commission (ITC); worldwide technology transfer and patent license negotiations; patent prosecution, patent portfolio establishment and management; IP audits, patent due diligence review, and patent opinions in connection with IPO, M&A, VC funding, patent portfolio and product line acquisition; client counseling in the areas of infringement and validity of patents, design around, and freedom to operate. 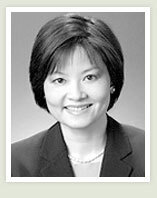 Before joining Chen Yoshimura LLP, Wei-Ning Yang was a partner at one of the top ten largest international law firms in the world. She has represented numerous technology companies, both large and small, in cases involving a wide range of technical fields including: biotechnology, pharmaceutical, nutraceutical, chemical, medical device, diagnostics, eye care products, printing technology, semiconductor devices and materials, computer software, digital cameras, and consumer electronics. Wei-Ning Yang has been named in Los Angeles Magazine as a "Rising Star," and also has been featured by the Recorder, an American Lawyer Media publication. She is also a frequent speaker of IP issues to Chinese law firms, trade associations, government and business entities, and universities. Prior to practicing law, she worked in Amgen’s Molecular and Cellular Biology Department. She also performed Ph.D. work at the University of Colorado Health Sciences Center with focuses on Molecular Biology and Immunology. Wei-Ning Yang reads and writes Chinese and is fluent in Mandarin.